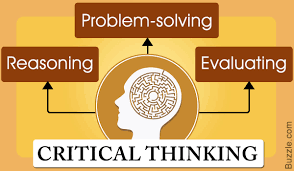 "Critical thinking is that mode of thinking — about any subject, content, or problem — in which the thinker improves the quality of his or her thinking by skillfully analyzing, assessing, and reconstructing it. Critical thinking is self-directed, self-disciplined, self-monitored, and self-corrective thinking." In our information society, students are bombarded daily by incredible amounts of information. Only some of it is useful or appropriate. But how will they learn to sift through to the useful bits? Librarians teach methods to find information that supports the immediate question. Librarians also teach skills that support critical evaluation of all information so that students don’t spend energy learning wrong facts or time following a research trail that is not related to the project. A simple example would be learning to notice the birth and death dates of a historic figure with a common name – like John Adams or John Quincy Adams. Critical thinking is an essential skill set that librarians are trained to teach as needed, to one student at a time or to whole classes. Librarians can also help teachers sort the most effective ways to embed critical thinking into existing classroom curricula. Check out these two articles for more information. Wyman-Blackburn, Steve. "How schools can help students realize the difference between real and fake news." District Administration, 16 Jan. 2017. ​Heick, Terry. "How Google Impacts The Way Students Think." TeachThought, 2017.